It turns out that if you can afford a good lawyer, you might be able to get away with everything, even the most severe felonies. Of course, being a celeb plays a major role in it. Check out these celebs who were able to get off the hook despite the serious crimes they committed. The famous singer was charged with serious felonies such as assault and vandalism. An ordinary person without a flock of fans behind him and the financial means to hire Roy Black as an attorney (who specializes in defending celebrities) would most likely end up in jail. 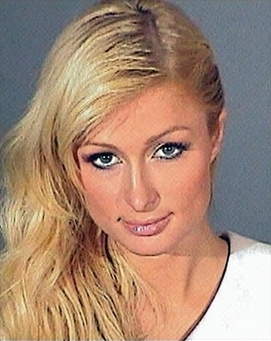 The model and actress Paris Hilton is one of those dangerous drivers that must be taken off the road. In September 2006 she was charged with DUI. Her license was suspended and she had to pay a fine of $1,500. A few months later, in January 2007, she was caught driving without a license. The authorities settled for her signing an agreement according to which she would not be allowed to be behind the wheel. A months later she was caught speeding and was sentenced to 45 days in jail. In June, the sheriff of Los Angeles County, California, changed this sentence to 40 days of home confinement. The official explanation was that Hilton suffered from an unspecified medical condition that did not allow her to be behind bars. The famous actor Robert Downey Junior has had a long history of entanglement with the law for drug related crimes, crimes for which an ordinary man would have spent much more time behind bars compared to the time Robert Downey did. In 1996 he was incarcerated for the possession of heroin and cocaine. A month later he was found dozing off in a neighbor’s bed under the influence of drugs. In 1997 he was sentenced to 6 months in jail for failing to arrive at a compulsory drug test. In 1999 he was sentenced to 3 years in state prison for not appearing for another drug test. He hired the lawyer that had O J Simpson acquitted of murder charge to no avail. However, luckily for him, the actual time he spent behind bars was only 1 year. 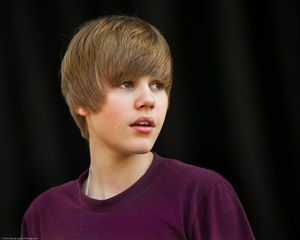 Not long after he was released, the police found cocaine in his hotel room after getting an anonymous call. Instead of doing another longer prison time, Robert Downey Jr was put on parole. The case of Britney Spears illustrates the benefit of facing a judge who might be one of your fans. There is no any other explanation to being able to escape punishment for such a severe crime. In 2007, Britney Spears was involved in a hit and run accident in which she hit a parked car. At that time she didn’t have a valid license. True, the person whose car was hit was compensated, but all charges against the singer were dropped completely. The punishment for selling drugs is usually many years in prison. Apparently not. 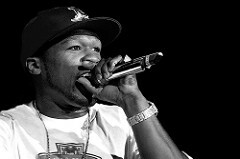 In 1994, the rapper 50 Cents (Curtis James Jackson III) was caught red-handed selling cocaine to an undercover cop. A couple of weeks later, the police found crack, heroin and cocaine in his house at an amount that is legally categorized as ‘possession with the intent to distribute’. He was sentenced to 3-9 years in prison, but instead he spent 6 months in a boot camp. In 2006, Mel Gibson was incarcerated for DUI after exceeding the speed limit. He was also carrying an open bottle of alcoholic beverage, which is prohibited in California. If that is not enough, Gibson started hurling racial and anti-Semite insult at the officer who arrested him (That officer was a Jew). The actor was sentenced to 3 year probation and $ 1,300 fine. His license was provoked for 3 months – zero jail time although it was his second DUI offense. For the sake of fairness, it should be mentioned that unlike other celebs, Gibson did pay a heavy price for his misbehavior – he entered Hollywood’s blacklist. For almost 10 years, no producer wanted to work with him. For those who hear this story for the first time, it may seem that some people are above the law, especially if they come from the Kennedy Family. In 1969, Ted Kennedy drove off a bridge in Chappaquiddick Island, Massachusetts. He ran away and left a passenger who was with him alone. That passenger, Mary Jo Kopechne, died. He told no one about this incident until his car was found the following day. 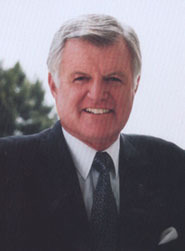 Ted Kennedy was sentenced to 2 months in jail for leaving an accident scene. The sentence was suspended. Most amazingly, this incident happened when he was a U.S Senator.